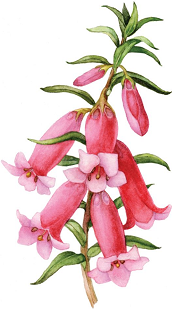 Written by experienced, practical APS Victoria members for gardeners of all levels from beginner to expert, this resource kit will introduce you to Australian native plants and their use in every type of garden. Environmental changes brought about by our current drier climate make it more compelling than ever to plant Australian plants native to our arid regions for colourful, low-water use gardens. Designed to be adaptable, fluid and personal, the full kit comes in a three ring binder, with the content in clear plastic sheaths. This allows for additions of personal material, replacement of pages when updates are issued and, of course, portability. Included with the full kit is a compact disc (CD), which contains, in PDF format, all the content plus the colourful divider and front cover pages. Use it to print pages as required, thereby keeping the folder in pristine condition. The CD is available for purchase by itself without the binder and printed content. Even those very familiar with Australian native plants will find this ‘kit’ most valuable. Introduction – The Grand Plan! Just insert the disc into your computer’s CD drive to read and print the contents. This A4 size loose-leaf binder plus the CD gives you the flexibility to update content as new pages become available, add your own pages, take this excellent Resource Kit with you wherever you go and to print pages as required. Interstate and overseas orders are separately priced. For a quotation …. Typical delivery time within Victoria 5-6 business days. Download and print an >> Order form. Use the link below to send us an email listing the product(s) required, quantities and the delivery address. By return email we will send you an “all up” cost including postage and handling, plus details of how to place your order make payment.